Set your collection apart with a stamp essay that many collectors don’t know about! Essays are an often-overlooked area of collecting. Essays are designs submitted to postal authorities for vignettes, borders or both that weren’t used in the final printing of a stamp. This finely engraved essay combines the talents of the National Bank Note Company with an idea patented by George W. Bowlsby. Bowlsby – a Civil War soldier, railroad depot operator and inventor – developed this unique concept to prevent the reuse of postage stamps two full years before grills were introduced. 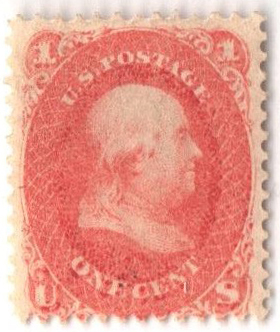 Bowlsby’s idea called for a normal-sized stamp with a horizontal perforation through its center and gum on the lower half. The stamp was invalid without the coupon, which was to be removed by the postmaster. Neat postal history!